Unique heel cut-out eliminates contact with heel, preventing pressure points and reduces risk of skin breakdown. Optional gel pack in foot support reduces pressure, shear and heat build-up. Foam design protects the foot from door frames and other obstructions. Medium density, high resiliency foam construction provides maximum comfort. 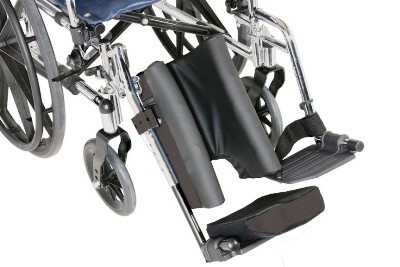 Non-skid fabric on foot support helps maintain foot positioning. Tapered bottom accommodates new style footplates. 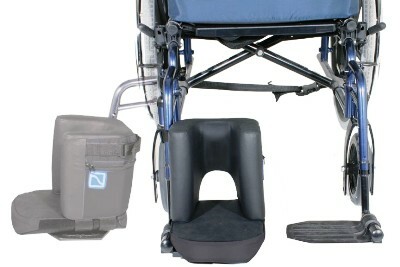 Optional styles include: Tall comfort foot, standard comfort foot with elevating leg rest mount, and tall comfort foot with elevating leg rest mount. 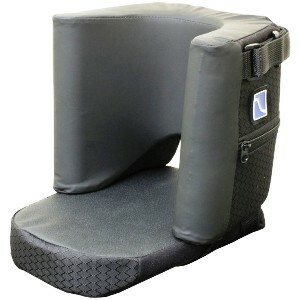 Comes standard with Comfort-Tek cover.